The All India Democratic Women's Association has expressed strong objection to the purification rituals carried out by the priests after two women of menstruating age visited the Sabarimala temple, calling it "demeaning" as it projects women as "impure" and "unclean". 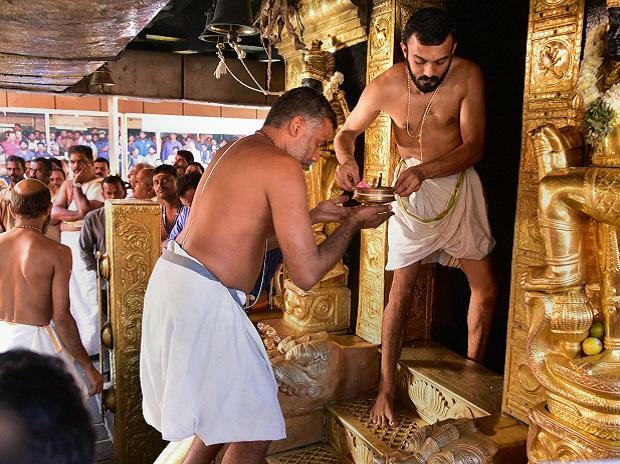 On Wednesday, the two women had stepped into the temple of Lord Ayyappa, breaking a centuries-old tradition, defying dire threats from the Hindu right. Kanakadurga, 44, and Bindu, 42, stepped into the hallowed precincts guarded by police three months after the apex court's historic judgement lifting the ban on entry of girls and women between 10 and 50 years of age into the shrine of Lord Ayyappa, its "eternally celibate" deity. Following the entry of the women into the shrine, the chief priest had decided to close the sanctum sanctorum of the temple in order to perform the "purification" ceremony. "The purification ritual is demeaning to women as it projects them as 'impure' and 'unclean'. It is also a clear violation of the Supreme Court verdict," AIDWA said in a statement. AIDWA strongly condemns the attempts of Right-wing groups to create a communal frenzy and subvert the implementation of the orders of the Supreme Court (SC) in the Sabarimala case. "They have resorted to threats and attacked the houses of the two women imperiling the lives of their families," the statement said. AIDWA has called upon all its units in the country to condemn this regressive stand of the communal forces on January 3, the birth anniversary of social reformer Savitribai Phule. Despite the Supreme Court's historic ruling on September 28 last year, no children or young women in the 'barred' group were able to offer prayers at the shrine following frenzied protests by devotees and right-wing outfits.